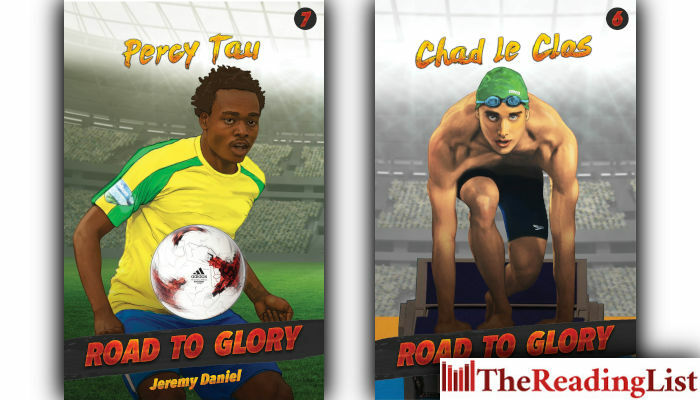 Written specifically for youngsters aged 10–14, the Road to Glory series takes the reader close to all the action, and the ups and downs. It all started on a beach in Durban: every Sunday, Bert and Geraldine Le Clos would take their family to the seaside to spend a lazy afternoon at the beach. They soon realised that there was something special about their son: Chad, only eight years old, was a natural in the water. They couldn’t take their eyes off him as he kicked his little legs and fought off the giant waves that came crashing down. 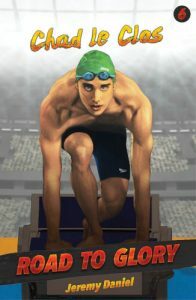 Soon enough, Chad joined the swimming team and started breaking all the records in his age group. With his dedicated coach and supportive father, Chad spent hours honing his skills in the local swimming pool, which eventually led him to compete in the 2012 Olympics, where he beat his long-time rival, Michael Phelps. Unbelievable! Despite his strict training programme and learning how to live a healthy, balanced life, there was still one more important lesson Chad needed to learn: how to trust his feelings, follow his heart, and stay true to himself. With the support of his family, coach, friends and fans all over the world, he knew he had what it takes to make it all the way to the top. Despite the boys’ enthusiasm for the game, Percy’s mom is against him playing soccer. She wants him to get a ‘real job’ – after all, she doesn’t want to see her son struggle in life. But Percy persists, and is invited to join the Sundowns Youth Academy. Here he meets Pitso Mosimane, the Sundowns coach who will teach him all about what it takes to become a professional footballer. In March 2017 Percy’s life changes forever: he is called up to play for Bafana Bafana and is named as the leading goalscorer of the season. But just when all is going so well … heartbreak: Percy’s brother is killed in a car crash. Old fears from his childhood come rushing back as his mother blames their misfortune on soccer. But, through it all, the family pull together in their support for one another. 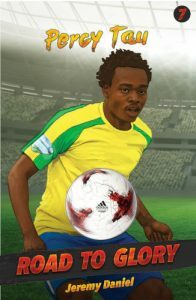 Then, one day, a call comes: Percy is offered a position to play for Brighton – one of the biggest deals ever offered a South African footballer. What will the future hold for one of the brightest stars in South African soccer? Jeremy Daniel is an author, screenwriter and musician. He has written extensively for children’s television and theatre, including as head writer for Takalani Sesame. He has also written a book, My Forever Friend. Back in the day, he was the founding member and bass player for seminal Cape Town indie band, Fetish. He lives in Cape Town with his wife and daughters.